ZipRecruiter uses SparkPost to help people find great jobs, and to help employers build great companies. ZipRecruiter started in 2010 as a tool to help small businesses distribute job postings affordably. Today, it’s a thriving marketplace where millions of people across the U.S. and U.K. find a better job for a better life. 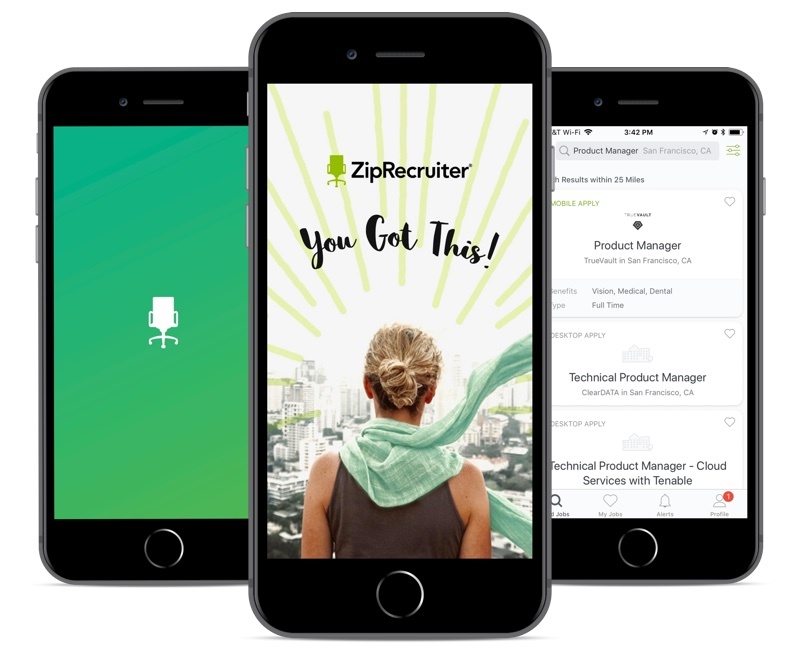 Dedication to its mission to help people find meaningful employment is a big reason why ZipRecruiter is the #1 rated job search app on Android and iOS. But it’s the smart use of email that helps ZipRecruiter accomplish that mission—and drives the growth of its service. Since its founding, ZipRecruiter has enabled more than 1 million companies, including Ford, Verizon, Target, and many others, to quickly and easily post their open positions on more than 200 leading job boards. Employment seekers can create a profile and search for and apply to jobs whether they’re on the ZipRecruiter web site or using the service’s mobile app. In addition, the company transmits nearly 20 million emails a day for more than 450 sending partners. “We’re essentially acting as an ESP ourselves and need a bit of extra guidance in navigating the challenges that come along with that,” explains Plummer. Hundreds of thousands of customers rely on our emails to hire and grow. And millions of job seekers rely on our emails to find the job that will improve their lives. As a result of ZipRecruiter’s need to serve job seekers, hiring companies, and sending partners, “there’s not just one typical ZipRecruiter email,” according to Plummer. “We have sent thousands of unique message types over the past year.” Nearly every job seeker receives a daily ZipRecruiter job alert email, though, that offers each recipient a tailored set of results in a standardized template. Email is the central location for the important updates in life. We do our best to facilitate human interactions there. SparkPost and ZipRecuiter also share a commitment to the Amazon Web Services (AWS) cloud infrastructure. Both companies use core AWS services such as EC2, S3, SQS, Route 53 DNS, and others. That’s not a coincidence—the flexibility and rapid provisioning that the AWS cloud enables is a critical part of why SparkPost can deliver the performance fast-moving companies like ZipRecruiter require. SparkPost has helped us achieve a higher level of deliverability than we ever have before. 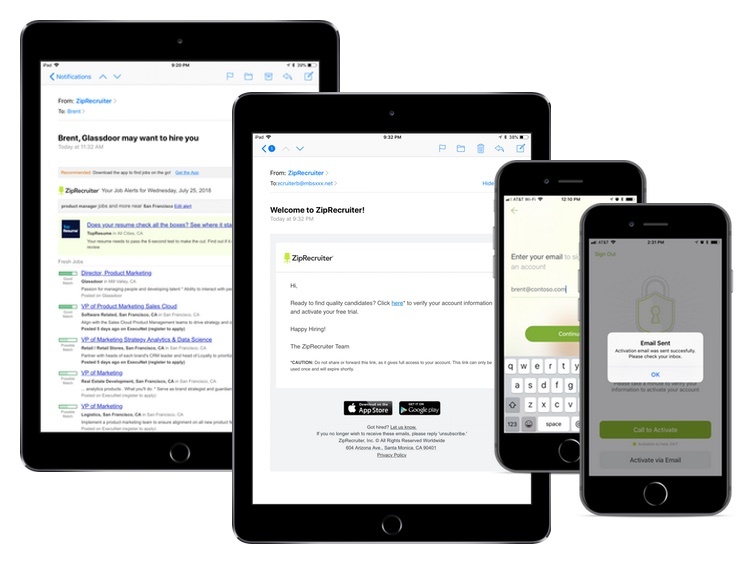 SparkPost helps us deliver emails, and helps us do it the right way.